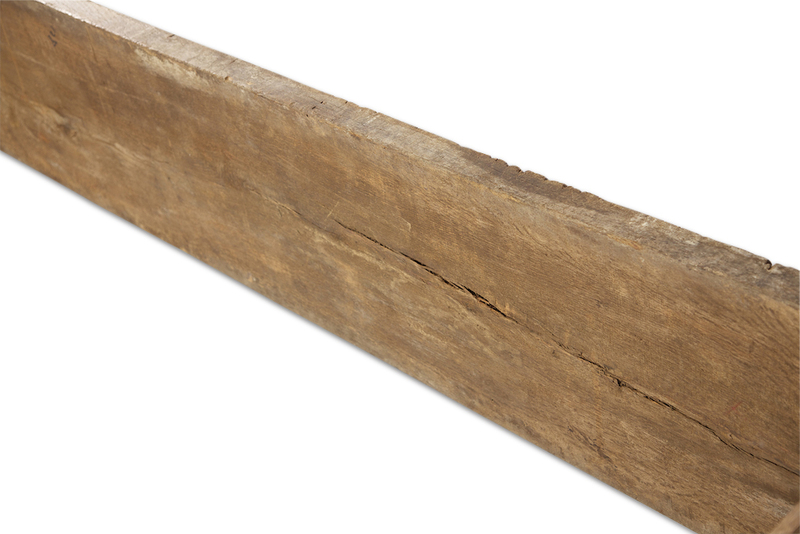 Acquired in the NE, in Westchester County. 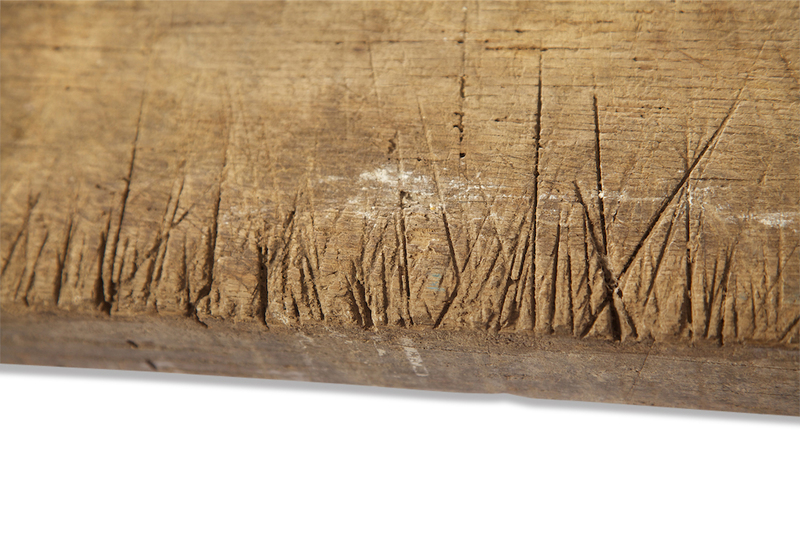 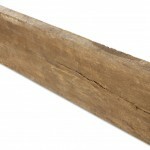 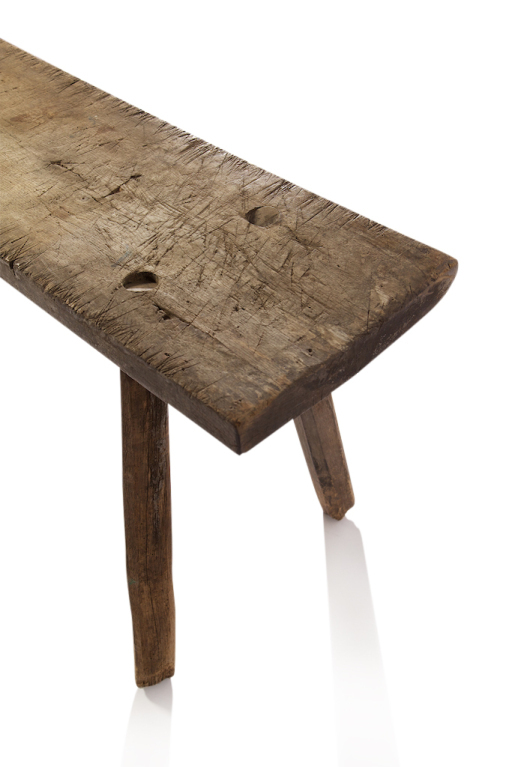 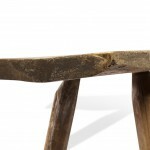 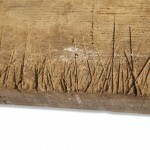 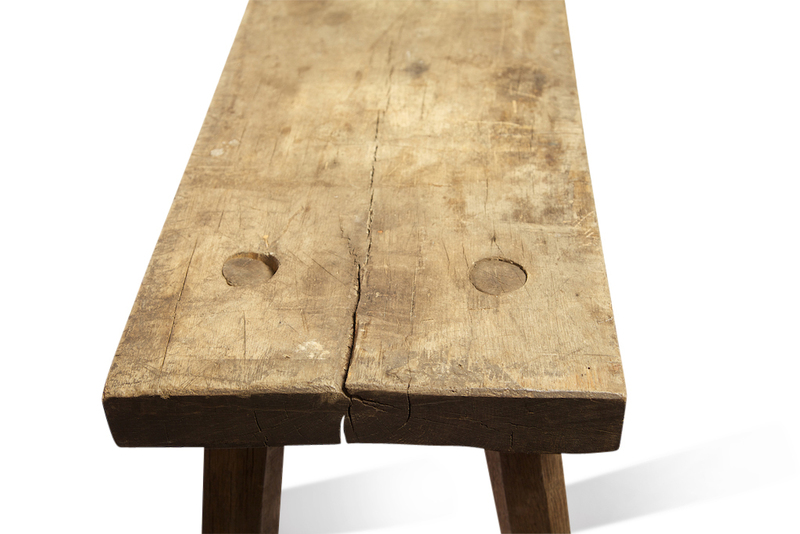 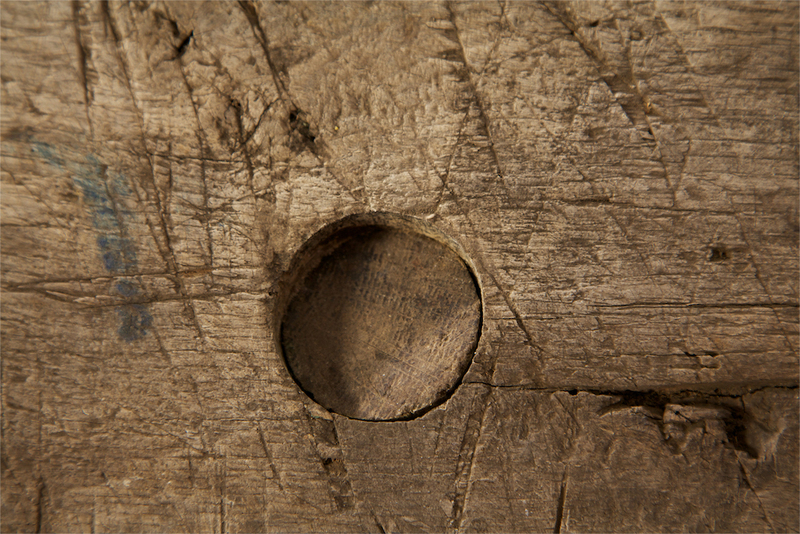 It is very similar to design features found in 18th Century pieces from France and Belgium, due in part to the joining of the leg/base and the splayed legs of the table, along with exceptional rough-hewn features. 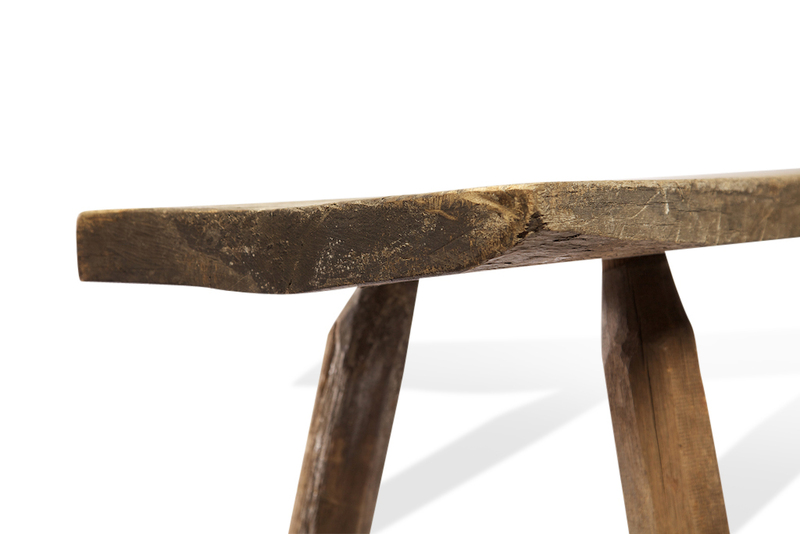 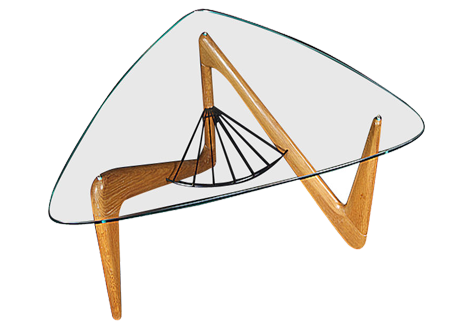 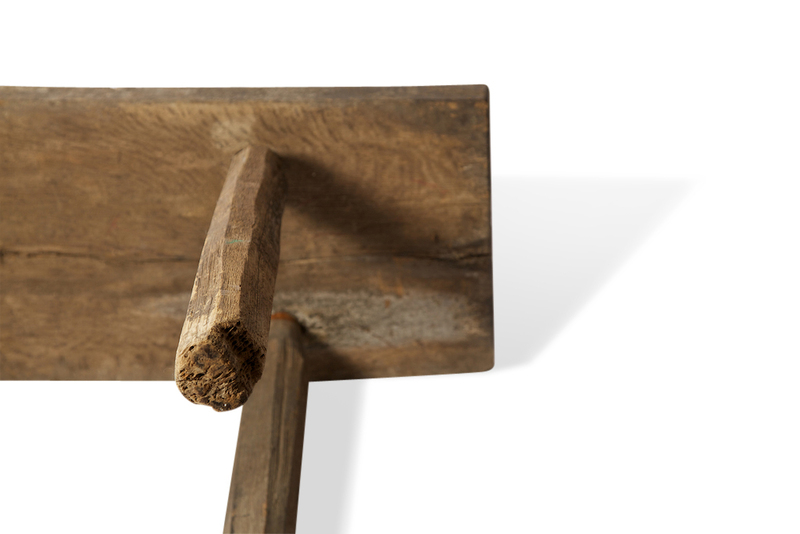 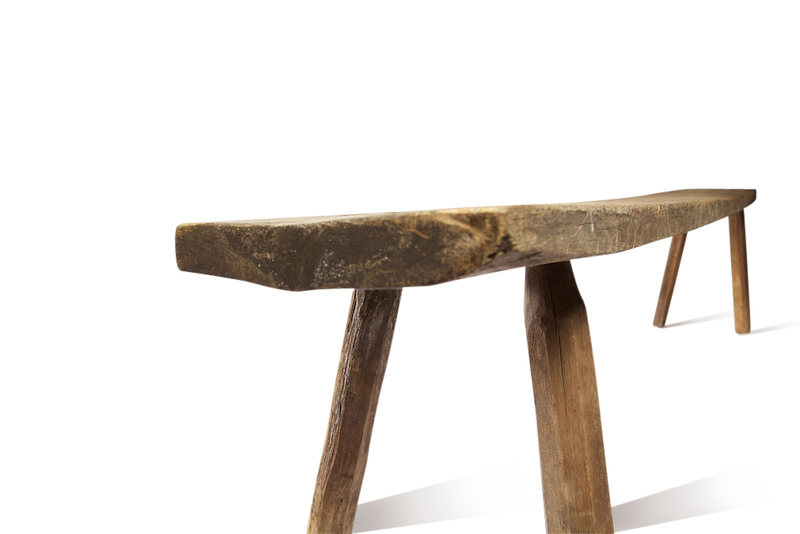 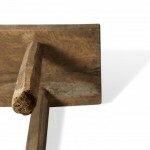 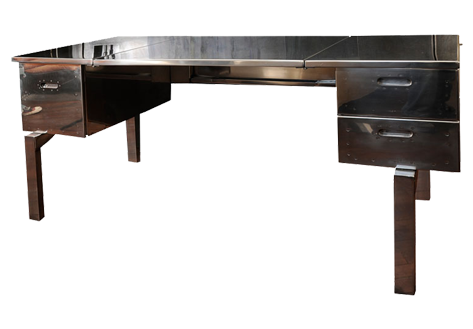 The entire tabletop is axe-formed from one piece, has a very striking patina, with easily removable legs which appear to be designed to be removed for transportation purposes. 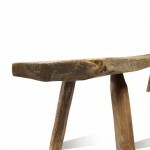 Is heavy, stable and exceptionally sturdy. 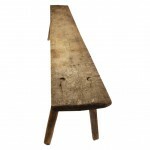 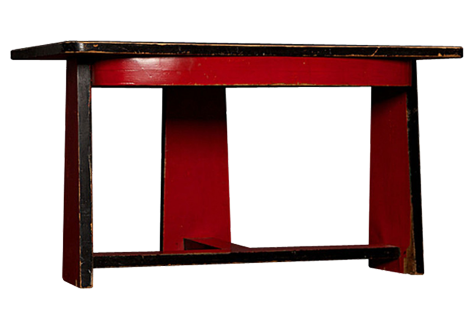 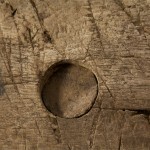 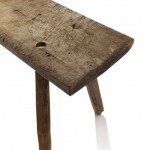 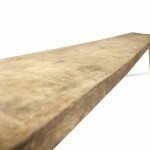 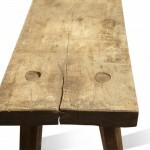 Could have been used for as a butcher’s bench or as dining table in the 1700’s due to its narrow width. 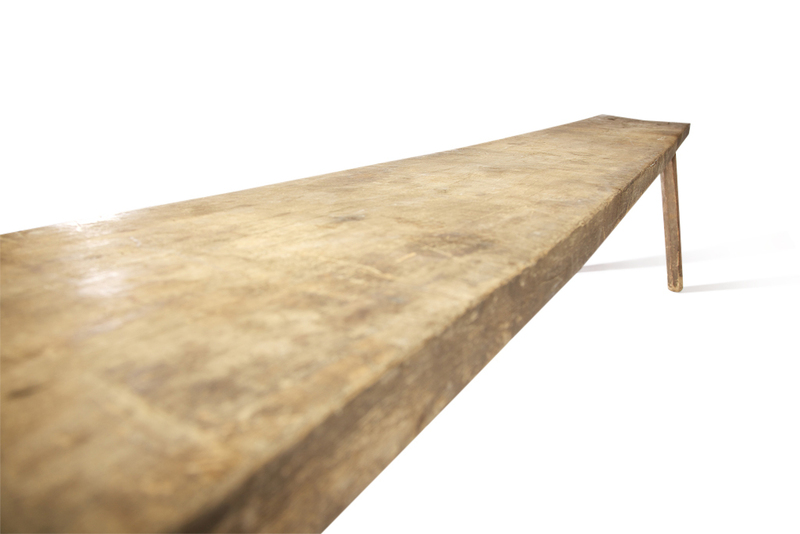 The table looks great with staggered seating. 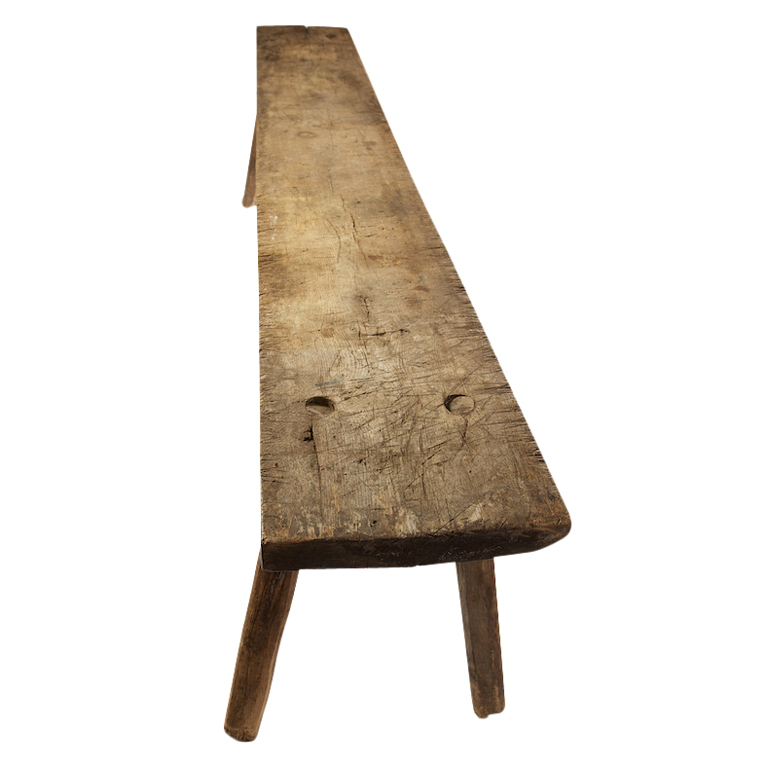 A perfect and unique addition to a loft space or country home.